What is better than one powerhouse vocalist with a conscious message? Two of them doing a duet. This is the gorgeousness that we are treated to on the new standalone single by Abuja based jazz inspired singer Preye Itams (best known for her Bond Movie worthy collaboration with Major distraction ‘On The Move‘) and Davina Oriakhi whose debut album Love To A Mortal, was a critical darling, praised strongly by all the respected music critics in the country. Both singers have cornered their niches but have struggled to find crossover hits that introduce them into wider, more commercial markets. So a collaboration between them, especially now makes a world of sense. It would merge their fan bases and drum up enough interest for all of us to take a second look. 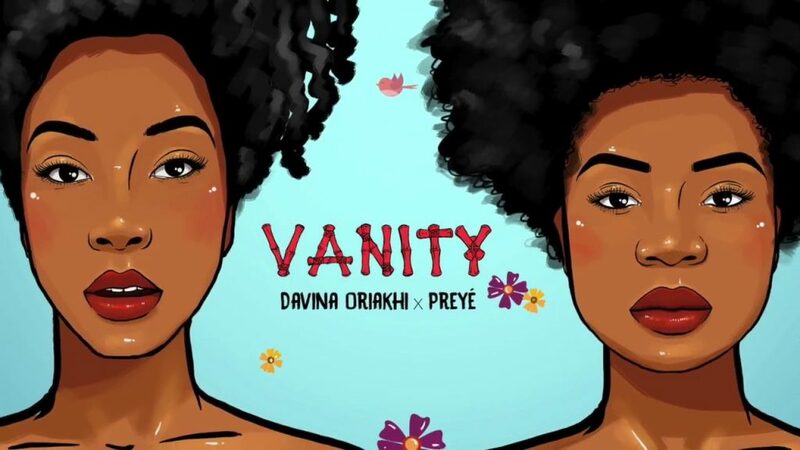 Right off the bat, ‘Vanity’ stylistically leans towards Davina’s inspirational pop, full of easy listening percussions and stripped down instrumentation. Stripped down compositions are a quirk both singers employ, but the significantly uptempo mood of the song shows Oriakhi’s hand. The songwriting also suggests Oriakhi was more instrumental to the song’s eventual structure, her many compositional tics end up in the finished product. But Preye Itams brings a dark mystery to Oriakhi’s inspirational writing, weaving an undercurrent of wistfulness to the song. The song is layered over with vocal harmonies to add a bit of flourish to what could have been an otherwise pretty straightforward song, and while we come for Oriakhi, we stay for Itams and her subtle but unmistakable ‘worldliness’. Now I am really curious to see what a song where both artists have equal footing in writing, mixing and mastering a composition will end up as. And we might not have to wait too long too; ‘Vanity‘ was released under a new Soundcloud account in both their names. Collaborative EP on the horizon?